Located deep in the Casa de Campo, lays an enchanting wildlife park with over 6,000 animals waiting to be discovered by you. 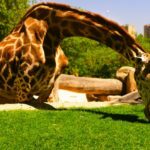 The Madrid Zoo Aquarium, situated across a majestic 49-acre property, is one of the largest zoos in Spain and attracts thousands of tourists every week. Home to 500 different species of animals, from white Siberian tigers to celebrity pandas, this Zoo Aquarium offers everything you need for the perfect field trip. 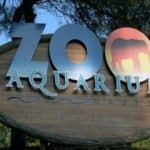 It is an official member of the European Association of Zoos and Aquaria (EAZA) and the World Association of Zoos and Aquariums (WAZA). 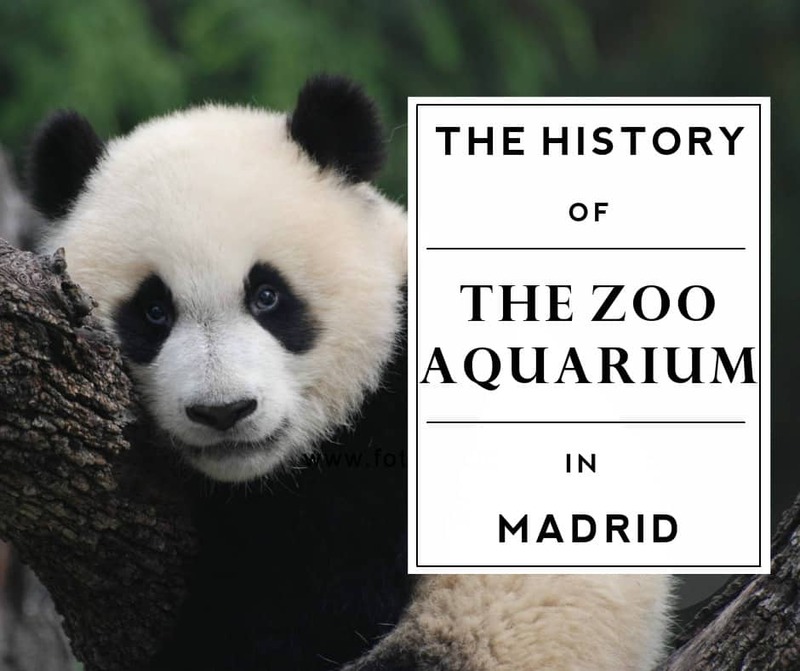 Unknown to many, the Madrid Zoo Aquarium actually possesses an extremely rich history, dating all the way back to the 1700s and initially built in one of today’s most popular tourist destinations. 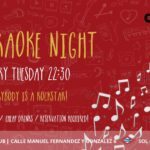 Get ready for a blast to the past! 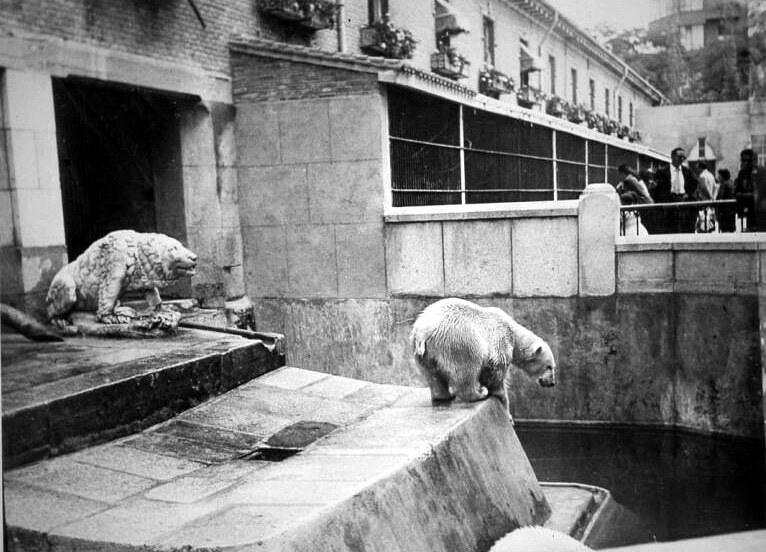 While the Madrid Zoo Aquarium is now the largest wildlife park in the city, it is not the first. 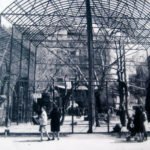 The first zoo in Madrid dates back to 1774, when King Carlos III mandated the construction of Casas de Fieras del Retiro (‘House of the Beasts of Retiro’), an animal park to be built in — you guessed it — Retiro Park! 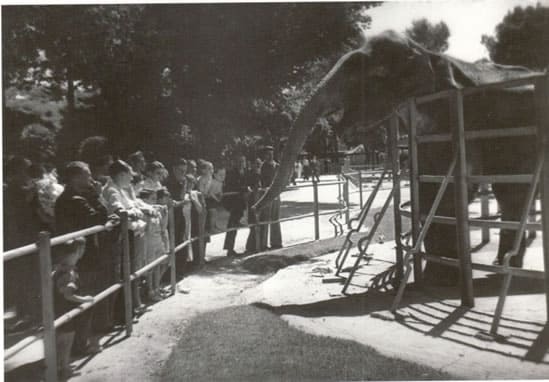 This was the second zoo ever to be opened in Europe, right after the “Vienna Zoo” in Austria, which today still stands as the oldest zoo in the world. 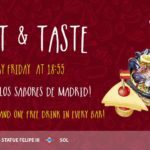 The Casas de Fieras del Retiro survived for over two centuries, enduring numerous changes all while witnessing history take place. The different monarchies and wars had distinct affects on the zoo. 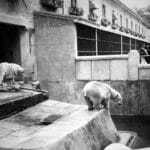 For example, during the Spanish Civil War, the zoo suffered extreme loss when animals began to die of starvation. Some animals even had to be sacrificed for food because of the widespread famine. 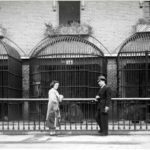 There are unconfirmed myths that 20 to 30 war prisoners were thrown into animal cages to be devoured (yikes!). 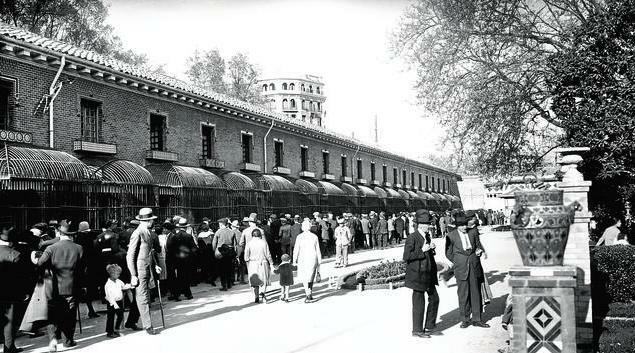 Then, during World War II, the development of the war helped restore Madrid’s zoo. 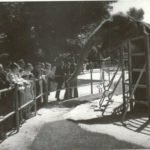 The Casas de Fieras began to receive evacuated animals from other European zoos, particularly the Zoo of Munich in Berlin, from which Madrid acquired new bears, lions, tigers, and primates. Following its successful restoration, the Casas de Fieras became extremely popular amongst locals and tourists, attracting more than 1.5 million visitors in 1967. 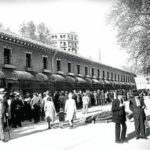 Finally, in June 1972, the Casas de Fieras del Retiro was permanently closed and Madrid’s present-day Madrid Zoo Aquarium was inaugurated in the Casa de Campo. In 2013, the Madrid City Council opened a new public library inside the old premises of the Casa de Fieras, now called the Eugenio Trias Municipal Public Library [link to CityLife library article]. 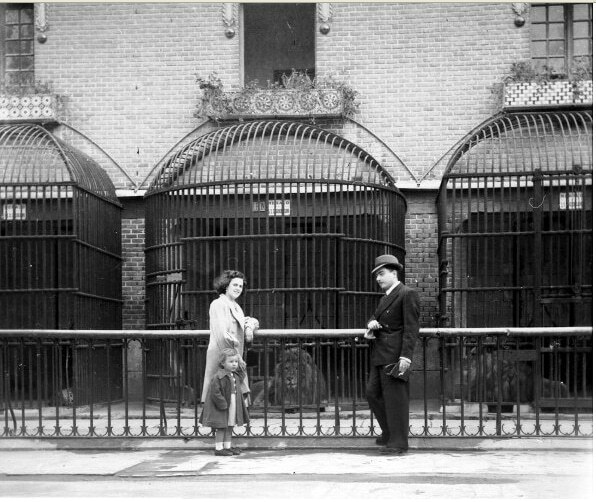 Many of the original structures have been preserved, including cage bars through which people threw food to feed the wild animals. 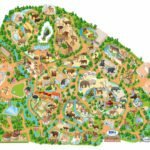 In the park, you can also find the zoo’s original bear caves, bird cage and monkey pit. In 1978, the Chinese government presented the King of Spain with two giant pandas, Shao-Shao (f) and Quian Quiang (m). The goal was for the two pandas to create offspring, but after many unsuccessful attempts, technicians performed an artificial insemination on Shao-Shao, which reportedly cost around 1.8 million euros. 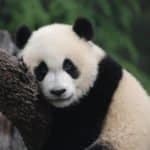 The result was a panda cub named Chulín, the first panda ever to be created by artificial insemination outside of China.In September 1982, Chulín was born. He was the very first panda in Europe to be born in captivity. Because of his significance, Chulín’s birth was internationally celebrated. Throughout his life, many considered him the most famous animal in the world, valuing over 1.2 million euros. In 1987, the dolphinarium was built and launched with seven bottlenose dolphins. 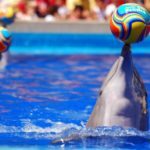 Today, the dolphinarium consists of an enormous pool with a capacity of more than 2 million liters of water, along with two secondary swimming pools for the care and maintenance of the dolphins. The zoo also holds educational shows where visitors can learn about these fascinating creatures. In 1995, the official Aquarium was built, extending around 3,000 m² in size and becoming the first tropical marine aquarium in Spain. Today the aquarium holds 35 exhibition tanks with more than 200 different marine species. 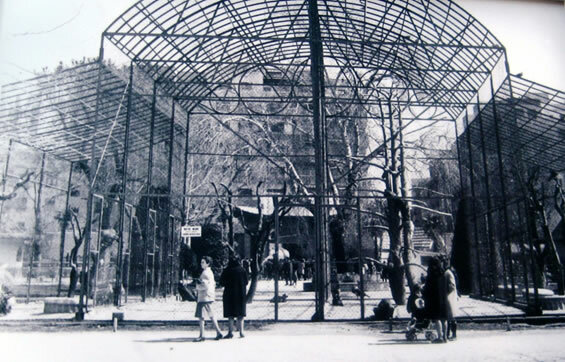 In 1997, exhibitions of raptors and exotic birds began in the new Aviary. Today the 3,000 m² Aviary contains around 60 different species of raptors. Visitors can go witness the birds in flight while guided by their trainers. In September 2007, the zoo opened a new complex with giant pandas. Two giant pandas were donated to Madrid once again by the Chinese government, one male named Bing Xing and a female named Hua Zui Ba. In March 2009, Madrid’s Zoo Aquarium became classified as a Heritage of Cultural Interest in the Historical Site category. In September 2010, the first twin panda cubs known of in the western world were born. The zoo named them Po and De De. To get to the Madrid’s Zoo Aquarium, you have many options for public transport. By metro, you can take Line 10 or Line 5 to the station Casa de Campo, followed by a 15-minute walk to the zoo entrance. By bus, you can take EMT bus line 33, which leaves from Príncipe Pío and drops you off right at the door (no extra walking!). 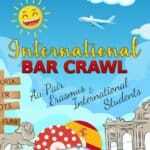 Ticket prices vary and are cheaper online than at the ticket office. 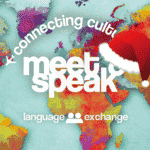 For adults (ages 7-64), you can purchase your ticket online for 18 euros, and at the ticket office for 24 euros. The zoo also offers season passes and menu options. 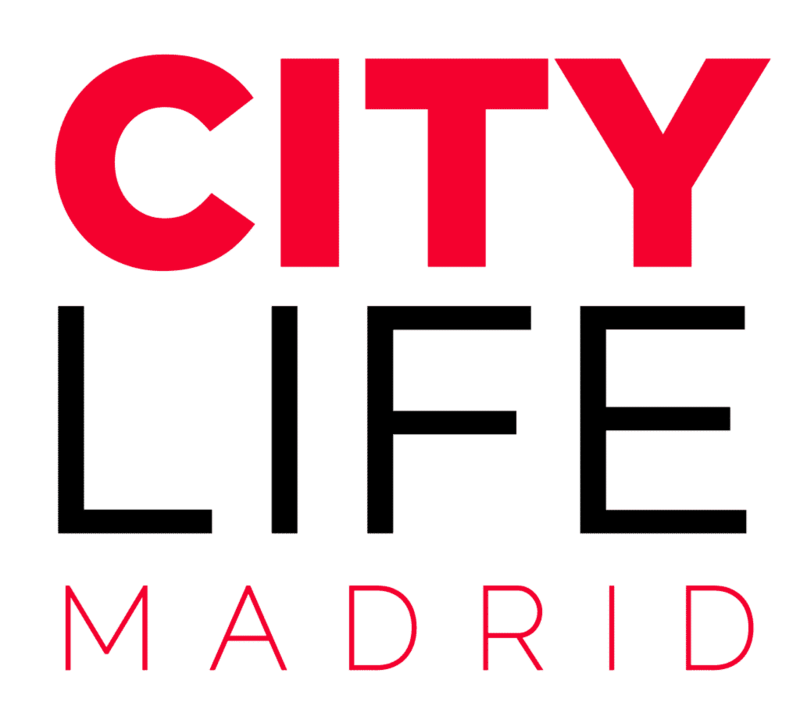 For more information about opening days and exhibition schedules, check out the official Madrid Zoo Aquarium website here and click on ‘Plan Your Visit’.